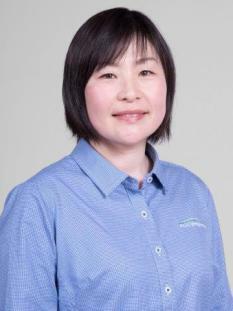 Tomoko Wright has 17 years of dairy farming experience and achievement, which include two years operating a 50/50 sharemilking business, and winning the New Zealand Dairy Industry Awards Auckland/Hauraki Farm Manager of the Year in 2008. Tomoko first came to New Zealand in 1999 to study English. After two weeks of farmstay experience, she fell in love with cows and calves, and decided to stay and progress her career in the dairy industry. Tomoko moved to Canterbury in 2008 to learn about irrigation, the use of winter crops and large dairy farming operations. After buying her own property, she became interested in real estate and started studying towards her National Certificate in Real Estate. She was awarded a PGG Wrightson Real Estate Scholarship in 2017. Her experience in the dairy industry gives her a strong base of knowledge and experience that she can use to effectively market real estate. Tomoko’s background in business and farming gives her a good understanding of hard work and demonstrates her high standards and drive, which are essential to achieve successful results in the marketplace. She has a strong work ethic and a refreshingly straightforward, honest approach to her work. She has an excellent ability to communicate and negotiate with people, and a desire to do the best job she can. She offers 100% commitment to her clients and customers, and is looking forward to working closely with both buyers and sellers, providing them with the best possible service and helping them to achieve the best possible outcome for the sale or purchase of their property.